Yolkboy and Lady Gwyn visit the Crossroads in ASoIaF and analyze the four major chapters set at the inn at the crossroads in light of the metatextual traditions of crossroad symbolism, and present a theory on what hidden role the Crossroads could have played in Westerosi history. Lady Gwynhyfvar and yolkboy present part two of a two part examination of Petyr Baelish. Littlefinger’s youth and relationship with House Tully and his plotting involving Sansa Stark and the Vale, as well as his ultimate endgame and possible arc in The Winds of Winter will be considered. 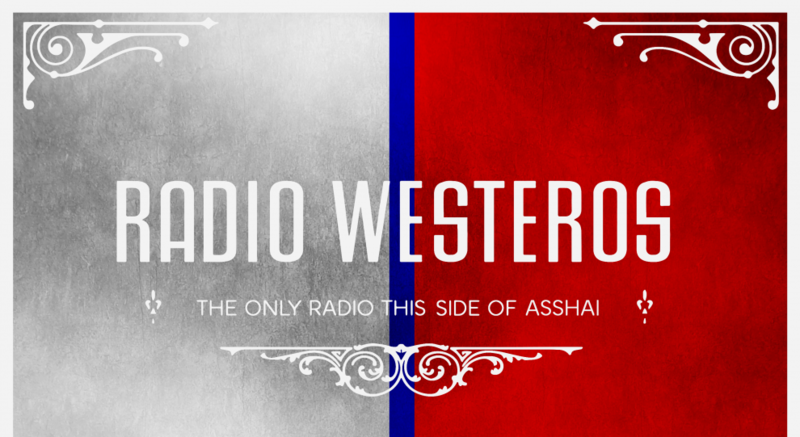 Readings and adverts from Westeros complete the episode. Looking at Sansa Stark, yolkboy and Lady Gwyn analyse Sansa’s arc and theorise on the direction it might be taking. Using specially arranged readings to present key sections, we discuss themes of mercy and identity as well as Sansa’s connection to Sandor Clegane, her sister Arya and Petyr Baelish. We also offer an original theory regarding Sandor’s bloody kingsguard cloak, and welcome special guest brashcandy, representing the Sansa: From Pawn to Player project. Music from the fandom and more!